Her name came to me for a reason that was not quite clear initially. 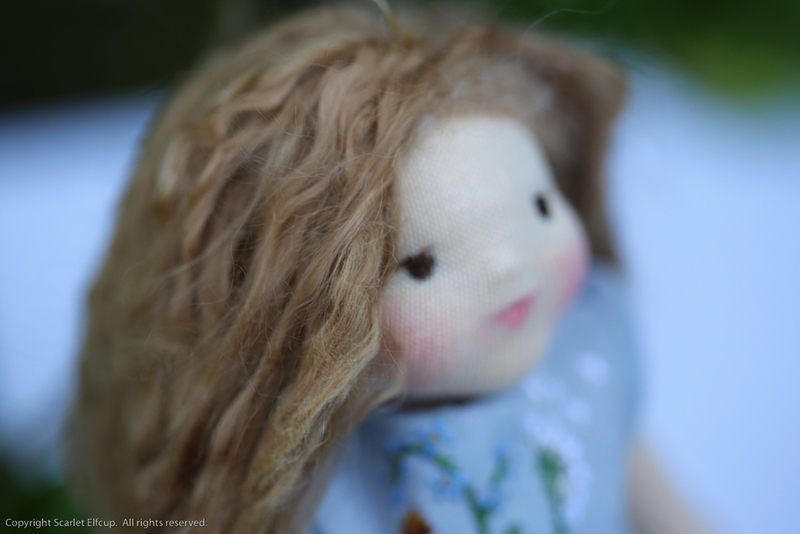 For me, naming a creation or a doll comes in one of three ways...1.) for a doll, very intentionally and with a lot of thought and consideration, 2.) 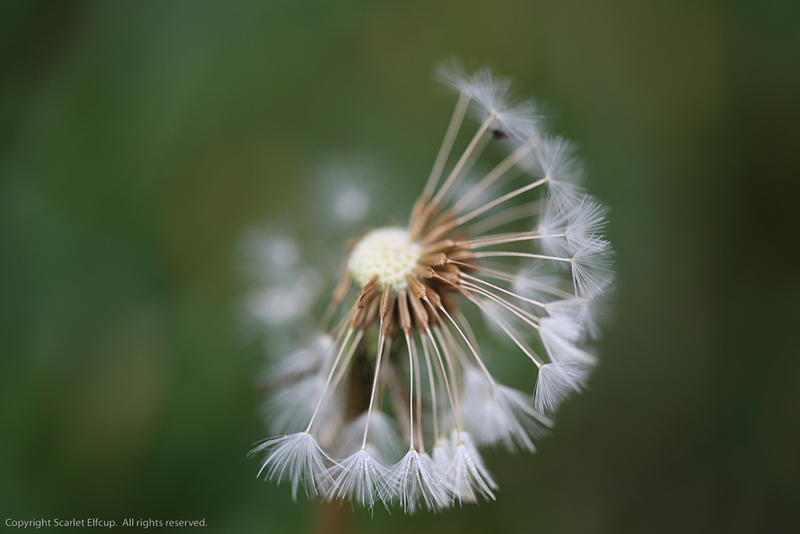 for a critter, not always, but often times, whimsically, playfully and sometimes without too much logic or deep connection to any particular idea, and 3.) with strong inexplicable intuition. In past creations, Willow Mae, Aoife and Mochta, Serendipity (Seren), and Peigi fell in the last category. 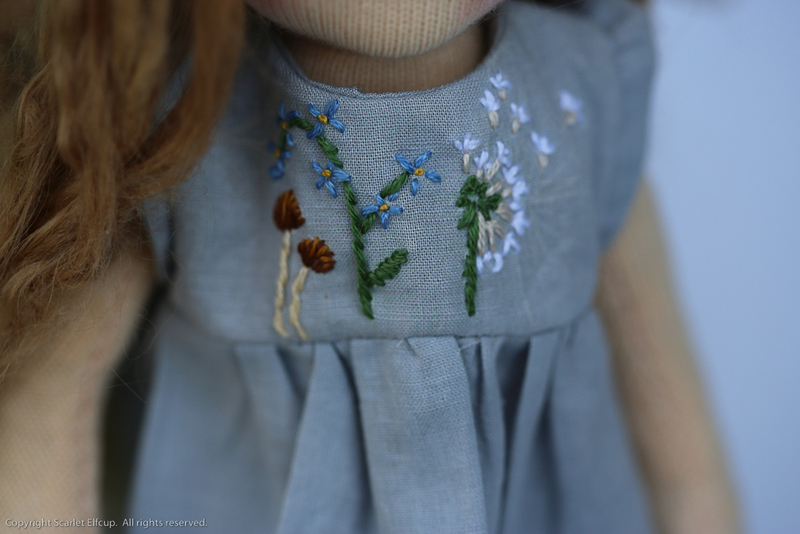 And each of them turned out to have an uncanny connection to something that was meaningful to the persons for whom I created those dolls. Category 3 is how Elise received her name. Her name came to me out of the blues, very suddenly and with inexplicable certainty. When this happens, I take a momentary pause to ponder just a bit why the name came to mind and always I am not able to answer my own question, but rather shrug and say to myself, "Ok...it sounds wonderful." And always, each time unexpectedly, the answer unveils itself at a later time. Today, as I was preparing to write this blog, I looked up the meaning and history of the name Elise. Turns out Elise means "oath of God" or "pledged to God." I take this as an uncanny coincidence to Easter weekend. She was to be presented today as the 5th gift of the week. So, I think she chose her name well, with full knowledge and intention. Elise, the final gift of the week, sums up everything that is the essence of this past week and this weekend....a celebration of Easter, a celebration of Spring, a celebration of new beginnings and hence the reason that Scarlet Elfcup was introduced to the world at this time two years past. The colors on Elise, her shoes and the hand embroidered flowers on her dress were inspired by colors and florals in my garden. Everything is so green, fragrant, fresh and beautiful. 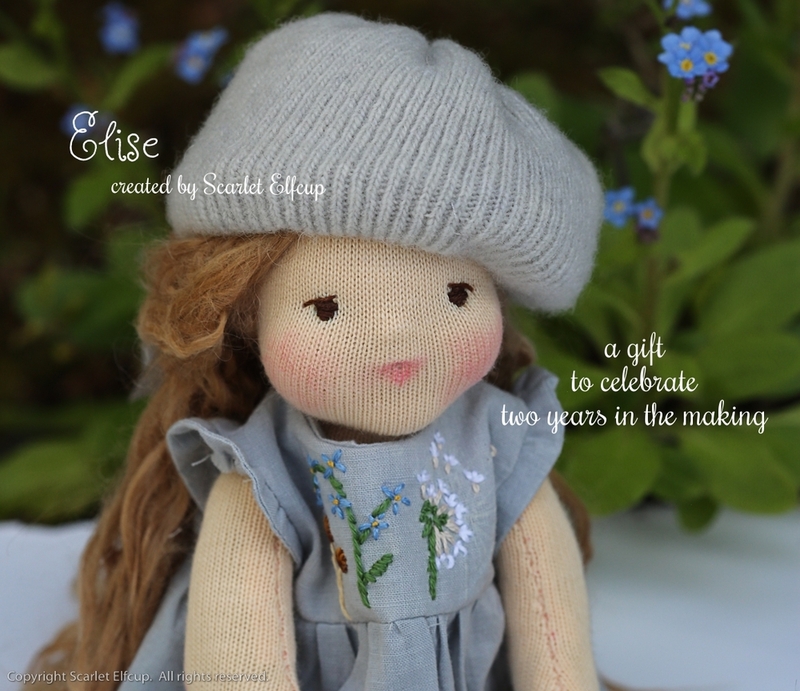 Elise is created from Scarlet Elfcup's 8" Le Petite Elfcup doll pattern. She stands 8" (20 cm) tall. 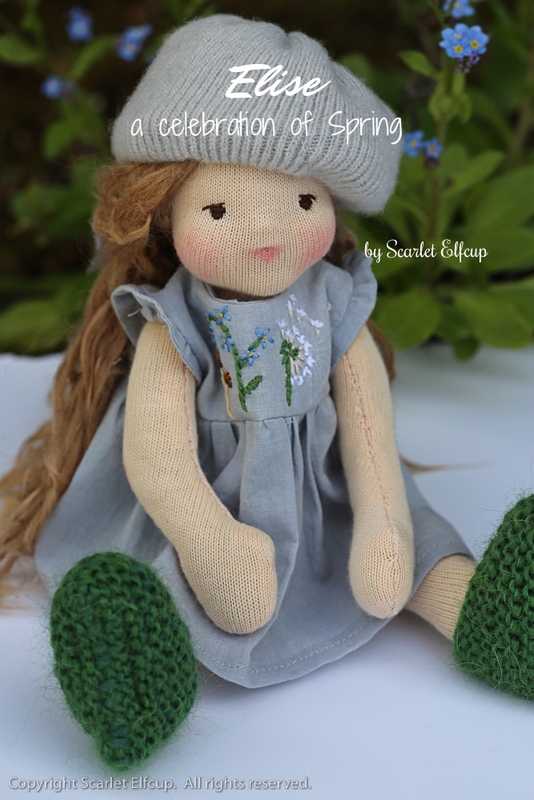 She is made with all natural materials. 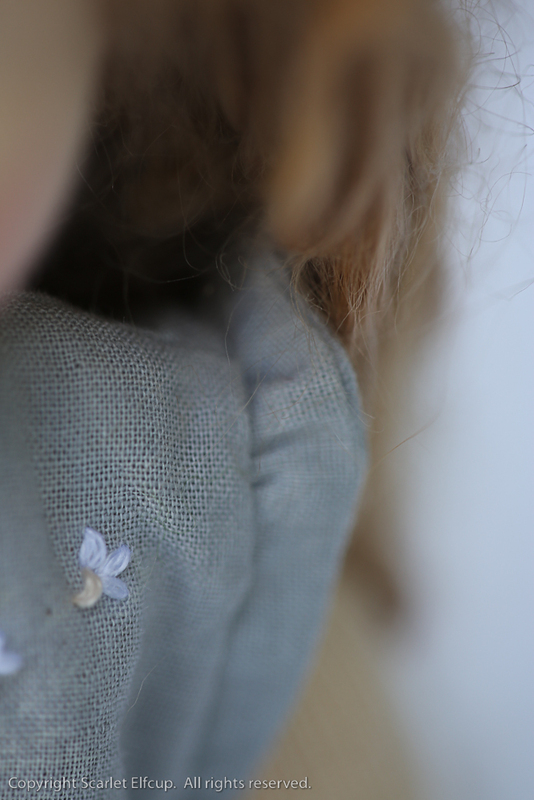 Her doll skin is made with 100% cotton jersey made in the USA. She is firmly stuffed with bio-wool also made in the USA. Her seams are sewn twice for reinforcement. She has embroidered facial features. Her facial structure is sculpted giving her a sweet little face with an itty-bitty chin, round chubby cheeks, and deeper set eyes. Her nose, cheeks and various body parts are blushed with red beeswax. Elise's full mane is made of 100% suri alpaca crocheted onto a mohair wig cap. She is a sitting doll. She also has a belly button and a bum. Elise comes wearing a simple 100% cotton dress. 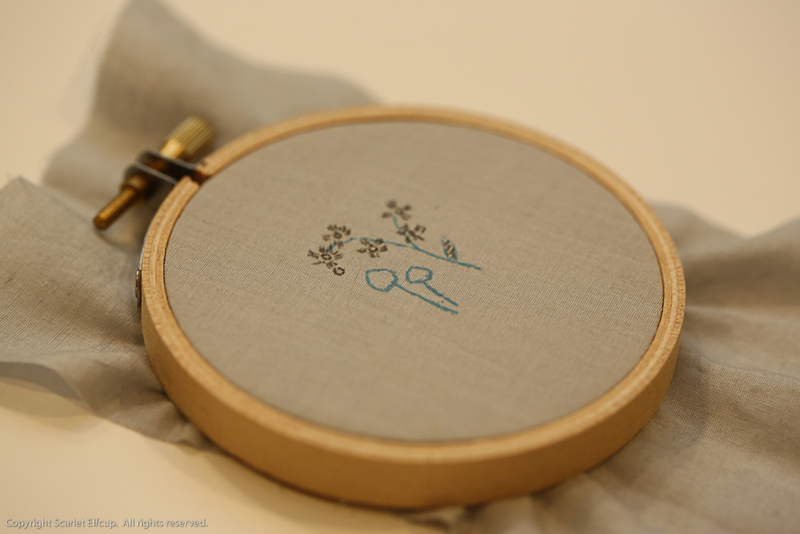 The dress is detailed with a beautiful hand embroidered floral motif that I sketched and embroidered. 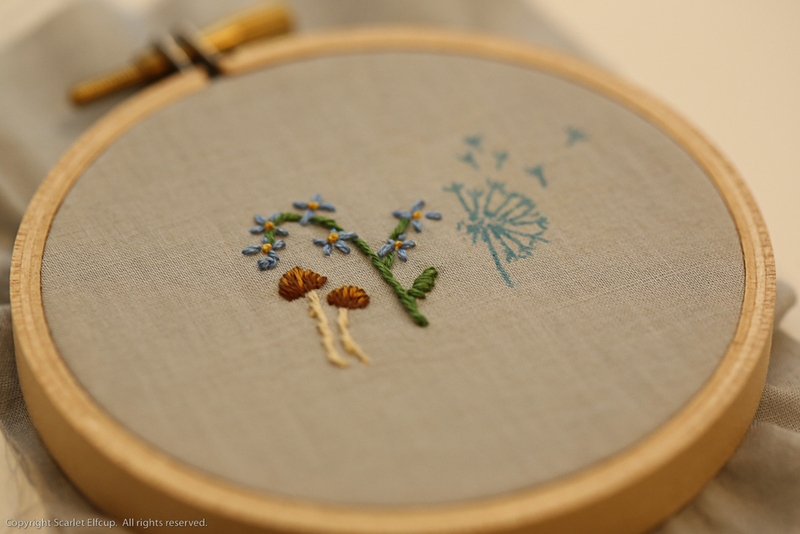 In tiny stitches, the motif was inspired by things that grow in my garden at this time of year...dandelions, tiny mushrooms and one of my favorites, the forget-me-nots. 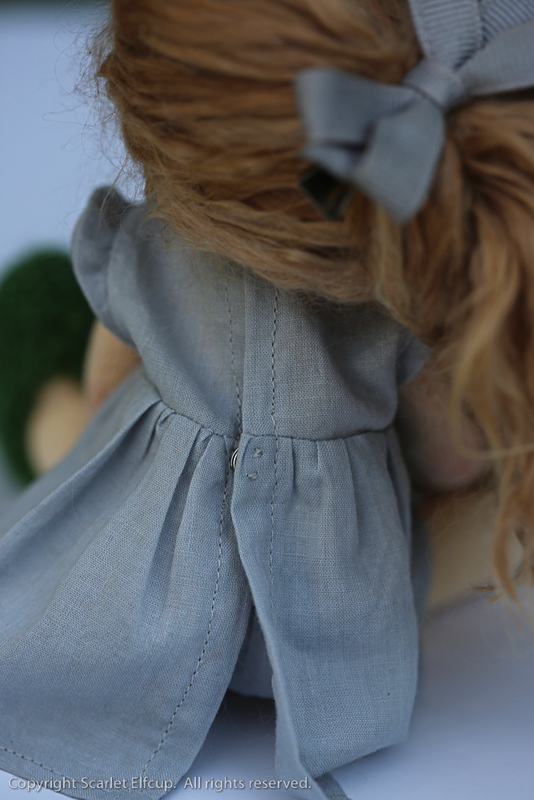 Elise's dress has tiny capped sleeves and opens fully on the back with two nickel-plated snap buttons. Underneath she wears a matching cotton bloomer. 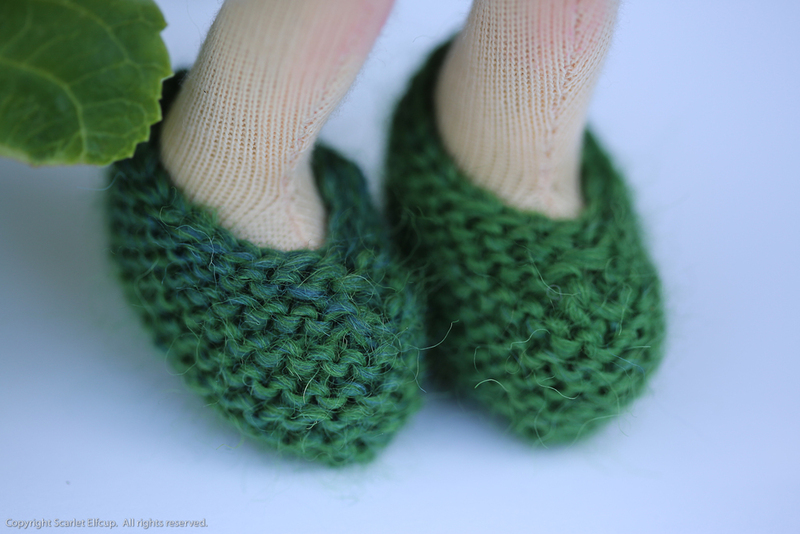 Elise's shoes are hand knit with 100% alpaca, the color of brilliant forest green...one of my favorite shades of green and a green that can be seen all in our garden at this time of year, especially this year, after we've had a decently wet and luscious rainy winter. Elise also comes wearing a fanciful beret slouch hat made from pre-washed, clean, repurposed 100% cashmere. Here she be...the last gift of the week...from Scarlet Elfcup. Thank you for being here to celebrate two years of dreams and adventures with us! Elise is being given away as this week's 5th and last gift. To enter your name for the drawing, please join Scarlet Elfcup on Facebook...simply be a fan of the page, like the photo and link of Elise and share the post. Entry deadline is being extended because I was late in getting back here today. Entries will close on Sunday, March 27, 2016 at 12:00 PM (PST). Announcement of winners will occur sometime Sunday evening. Thank you for stopping in to say 'hello.' And good luck to you in the drawing!